We love them and we invest in them. We invest our money in different classes and experiences for them so that they get to try lots of different things to figure out what they love. We invest our time in them by filling weekends with fun, family activities, but also enough downtime for us to just enjoy being together without an agenda or rush. And most importantly, we invest our love in them by being deliberate about how we raise them. This means that we have very high expectations and are quite strict, but all of that firmness is combined with so much love, affection and warmth so that they never feel alone or unloved. 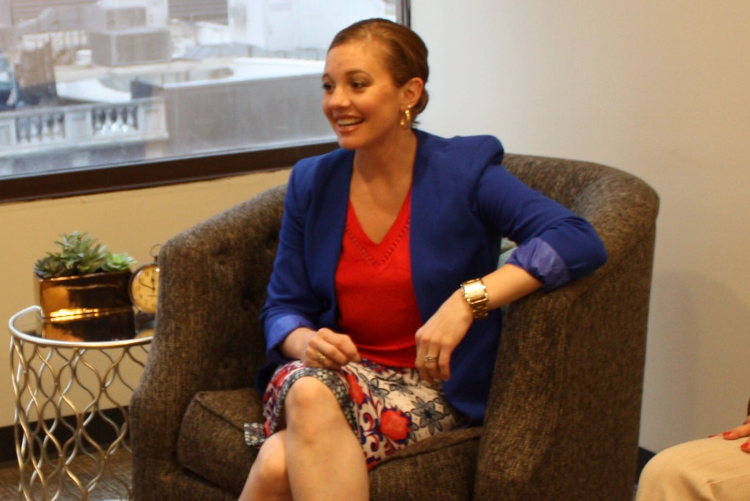 As a part of my series about “How extremely busy executives make time to be great parents” I had the pleasure to interview Dr. Colleen D. Cira, Psy.D. Dr. Cira received both her Masters and Doctorate from the Illinois School of Professional Psychology and has been practicing in the field since 2001. 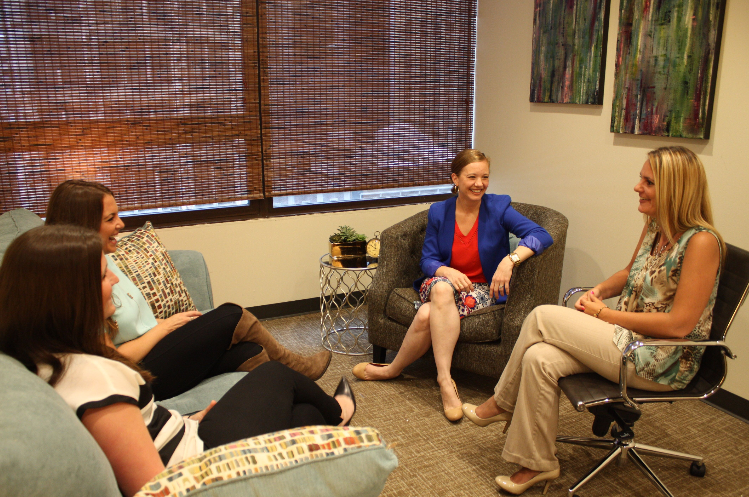 Dr. Cira is a Licensed Clinical Psychologist and the Founder and Executive Director of Cira Center for Behavioral Health, PC a boutique group practice with locations in Chicago and Oak Park that specializes in Women’s Issues/Health and Trauma. Dr. Cira is a trauma and anxiety expert, clinical supervisor, writer, speaker, consultant, activist, wife and Mommy to two little ones. My childhood was really benign and happy in many ways. I come from a two parent household where my Dad worked and my Mom gave up her beloved career as a nurse to be a stay at home Mom for my sister and I when we were little. I have lots of memories of fun family trips to the zoo, engaging in elaborate crafts when my sister and I were stuck at home with chickenpox, and visits to Chicago’s Lake Michigan Shore and dinner at Ed Debevic’s afterwards with friends that my Mom chaperoned. My parents loved us to the moon and back and tried to prepare us and give us every advantage in life. I always had a passion for working with the underserved. Despite all of my struggles, I also knew how privileged I was as well. I was grateful for everything that had come easy to me and wanted to pay it forward so I’ve always been drawn to Community Mental Health. As a result, most of my career, during graduate school and afterwards, was spent in this type of setting. I loved the work and I loved my clients, but when I began to start a family, it became clear that what was required of me in community mental health and what I was compensated for all of those sacrifices were not conducive with being the kind of parent that I wanted to be and that a change would be necessary. With kids, attachment is everything. How you connect with them, especially when they are young, but always, lays the foundation for everything else. Kids need to feel safe and unconditionally loved and the way to do that is by connecting with your kids through play, physical touch, eye contact, and lots of quality time. If they do NOT feel safe or loved because a caretaker is emotionally unavailable, unpredictable in terms of how available they are or straight out neglectful and/or abusive, then kids can lack the basic foundation they need to live a healthy life and make good choices. Kids who do not have a secure attachment with their parents often can struggle with their self-worth, a variety of mental health conditions (depression, anxiety, mood instability, etc), and experience difficulties in relationships due to issues with trust and conflict. Brooklyn, our second born, is incredibly different than Lincoln. Her need for novelty and stimulation is high and does not get easily overwhelmed the way that Lincoln does. So while Brooklyn is often happiest in my lap, when she’s not, she wants to be busy. Trying new things, going new places, learning about something. We always jokes that Brooklyn isn’t as much of a player as a worker. So for B, quality time with her is always doing something new together! She wants to help me cook or bake, go to a new indoor play area and experiment with all of the new toys, go to SkyZone and jump until her legs give out from underneath her, go ice skating, try a new food…she even loves learning how to fold laundry. Anything that is new and she can do “by herself” is right up her alley. Knowing your kid and what they need and respond to is super helpful in figuring out what quality time looks like, but there are certain things I try to be mindful of whenever we are spending quality time together. For instance, I try to make a habit of putting my phone on silent and in my bedroom the moment I get home. I know that if it’s sitting on a kitchen counter and I hear it go off, even if it’s a quiet little vibrate, I am likely to check and respond just out of habit. I love my job and I love working! Putting it in my room on silent means that I won’t even think about it until the kids are asleep, which means my kids are getting my undivided attention, which they desperately need. I’m also really aware of physical touch and eye contact. These are the building blocks of attachment so I try to engage in them as often as I possibly can. Whenever I can get down on their level, look them in the eye with a hand on their shoulder while we’re talking or stop whatever I am doing and turn to give them all of my attention when they are trying to tell me something (even if it’s something benign that they’ve already told me 12 times), I know that this seemingly tiny and innocuous behavioral shift in me is communicating big and meaningful things about how much they mean to me. This one is the hardest one for me, but I make a real effort because I know it’s so important. They need to me to play and be silly with them. Now there are lots of things I genuinely enjoy doing with my children: I love horseplay with my kids, playing sports with them, doing board games, reading to them and anything in the realm of affection. But straight up play, with legos, dolls, doctor, etc is NOT a strength of mine. I really do not enjoy it if I’m being honest. And being silly doesn’t come easy to me either. I’m always on the go which means I’m often tired and don’t have tons of energy to make everything a game. Plus, because of the fact that I’m a Psychologist who specializes in trauma, means that every day I’m dealing with the darkest parts of our society and world. It’s serious and heavy and required a big shift in energy to go from being immersed in that world to the light and fun world of children. It’s hard for me. But I try so hard to say yes when they ask to play and to infuse levity into as many of my communications with them as I can because I know they need it and respond better when that lightness is there. Own your calendar. Michael Hyatt would say that if you don’t own your time, other things and people will. So get clear about how you’re spending your time, down to every single waking minute of your day. Look at my calendar, for example (reference my calendar above.) I know it looks a little insane because every hour is filled in with something, but it’s so incredibly helpful because not a minute is wasted trying to figure out what comes next. And be specific! Don’t just say “Admin Time” or “Self-Care”. Figure out what your priorities are — figure out what you need — and then have those show up in your calendar. Develop a daily meditation practice: One of the number one things that helps me to feel centered and grounded is starting every day with just 10 minutes of meditation. And I’m not alone in this feeling. Research is clear that one of the few ways to change your baseline levels of happiness over the long term is a regular practice of meditation. We can change lots of things: our schedules, our behavior, our calendars, etc, but if we don’t change our MINDS, it’s going to be very difficult to sustain the external changes. We have to get more control over our thoughts. Even if our bodies are slow, and I would say especially when our bodies are slow, are when our minds tend to go into overdrive. Meditation is a way to learn to sit with distress, focus on the present even with our brain (and possibly environment) is constantly trying to distract us and connect with the very core of who we are. Put away your phone. I know I said this before, but it’s worth saying it again and expanding on it a bit. Smartphones are a constant distraction and most of us aren’t using them in a way that actually helps us and in fact, may be hurting us and/or our relationships. But we’re also in too deep to do away with them either so let’s set up some good ground rules so they don’t wind up ruling our lives. Phones go away when we’re with people who we enjoy and want to invest in (like our children). Phones go away as soon as we come home from work. Phones go away while we’re at work if we don’t need them for work. The bottom line here is that we should be intention about how we use our phones. Because if we’re constantly on them, then we’re constantly distracted and getting behind in more important things…like RELATIONSHIPS and RELAXATION — the stuff true happiness is made of. 6. Develop a daily practice of gratitude: Sounds simple right? But I’m not talking about trying to feel good about the basics: I’m grateful for a roof over my head, food on my plate, etc. It’s GREAT to be grateful for that stuff, but the basics don’t often inspire the actual feeling of gratitude because for a lot of us, it’s simply more expected. And it’s the feeling of gratitude that we’re going for. So every day, try to conjure the feeling of gratitude. What happened today that made your heart swell? What happened today that brought you absolute joy? What did you marvel at today? An unusually tight hug from your toddler? An absolutely gorgeous sunset? A super sweet text from your partner? The first semi warm day after a brutal winter? A meaningful and moving conversation with a loved one? Stop and think and try to put yourself back in that moment. Feel the warmth spread across your chest. Feel your heart open with love. Feel the smile spread across your face. That’s it. That’s the feeling. Make it a point to feel that every day, even if the moments require some detective work to find. When we take the time to feel grateful for what we already have — when we slow down to treasure those moments, even if fleeting — we do our brains and bodies a wealth of good and we’re less apt to run around chasing stuff that doesn’t matter. Trying to define being a good parent for others seems so easy because, in theory, it is! You love your kids unconditionally and make sure that shows up in your behavior. It won’t always look the way you think it should and some days will be harder than others, but you do your best, try to be kind with yourself when you fall short of your own expectations and learn from your mistakes. That sounds fairly simple right?? Because we all love our kids tremendously. It’s the day-to-day that gets tricky for us all. Take my morning for example. Today is a big, busy day for me at work. I need to finish one article that I’m working on and start and complete another. I need to finalize two new hires contracts and figure out their start dates, training and onboarding. And I need to prep for a brand new presentation that I’m doing tomorrow that I’ve never done before. Plus all the normal Thursday stuff with consultations, meetings and clients. It’s all stuff that I love and I have the time set aside to do it…but then my daughter came home sick yesterday from school. My husband stayed home with her and she seemed to feel better throughout the day, slept well and woke up with no fever or anything else that would keep her home. But she was miserable. She was cranky, kept asking for medicine and said her stomach was bothering her. The rule in our house is that unless you are throwing up, have a fever or experiencing diarrhea, you at least TRY to go to school and if you feel too bad, we’ll come and get you. But usually, if they don’t have any of those 3 red flags, they get to school, start having fun with their friends and are fine to make it through the day. But B was a mess…and she was making it clear that she needed me. My husband and I towed the party line all morning, encouraging her to try to go to school, giving her some allergy meds for her runny nose and reassuring her that if she continued to feel bad at school, we would take her home, but she remained insistent: “I want to stay home with Mommy” she cried. In that moment, the conflict between my two very different lives felt so intense: I run a business and I make commitments that I need to keep. AND…I’m also a Mom and I want to be the kind of Mom who is there for my kids when they need me, even when it’s inconvenient. So I took off my coat and told her I would stay home with her. And ya know what happened? As soon as I said I would give her what she so clearly needed, she suddenly felt well enough to go to school 🙂 Now to be clear, I am not saying that going to work would’ve made me or anyone else a “bad parent”. Everyone has to make their own choices in those tough day-to-day moments. In fact, it’s hard for me to see almost anyone as a bad parent. We’re all just doing the very best we can with the role models and resources that we’ve been given, which a lot of the times has nothing to do with us at all. Break out of gender roles: We read my son books where the boy protagonist is sweet and kind and empathic, not just superhero books. We read my daughter books where the protagonist is a girl who is brave and strong and smart. We encourage my daughter to play sports and my son to dance and learn music. We constantly remind them that big feelings and tears are perfectly Ok and that anger is too. It’s hard for anyone to “dream big” when they grow up in a box of societal expectations about who they should be. We try to consciously break down those walls. Create and build empathy: We read books to both of my kids where the protagonist is a person of color or someone with a totally different culture so they are constantly getting the message that not everyone in the world looks like them and so they get curious and interested in those differences rather than fearful. We read books about Rosa Parks, Martin Luther King Jr, and Harriet Tubman so that they understand about other people’s struggles AND their own privilege. We talk about feelings a LOT — their own and their guesses about how other people feel so that self-reflection and thoughtfulness simply become habits that happen all on their own. Well…let’s be clear. I don’t know that I “masterfully” do anything quite frankly 🙂 But I do straddle both worlds and it is an active battle, but one that I consciously and passionately choose. I think my definition of success is rather simple in theory: it’s fulfillment. Every day I try to design a day that brings me as much fulfillment as possible. From the moment that I open my eyes, I am working on creating a day, a week, a month, a year where I very deliberately and enthusiastically pursue fulfillment. Intellectual and creative fulfillment through new projects at work. Relationship and social fulfillment through my marriage, my family, my friends and my CCBH Team. Spiritual fulfillment through meditation and kindness, Every. Single. Day. And emotional and physical fulfillment by giving myself permission to care for and care about ME. Best Year Ever by Michael Hyatt is a wonderful book both in terms of inspiring you to make some changes to live life more deliberately as well as offering specific behavioral changes you can easily incorporate into your life. Insight Timer and Calm are both apps that you can use to practice meditation and/or mindfulness. They both offer sessions that are simply timed with gentle reminders to come back to the present moment or guided sessions that offer the opportunity for guided meditation. Both are lovely and developing a daily practice of mindfulness and/or meditation is instrumental in making sure I start each day as the absolute best version of myself. “Life is 10% what happens to you and 90% how you react to it”. I became aware of that quote by Charles Swindol at a very dark and difficult time in my life. I had just recovered from a teenage battle with cancer and one of my closest friends, and main supports when I was in my fight with Hodgkin’s Lymphoma, was now dying of cancer. We were both 15 years old. I held onto this quote — this idea — like a life raft. It served to remind me at a time in my life when everything felt completely out of my control, that I still had choice…I still had agency…I still had power. It sat in a frame on my wall for as long as I can remember. But here’s what adult life (and a career as a Psychologist) has taught me about this quote: just because you have choice about how you react, doesn’t make it easy. Instead of being used as a rescuing device, this quote can easily be used as a weapon…a pull-yourself-up-by-your-bootstraps mentality that only serves to invalidate people’s experiences and negate very real barriers. Barriers like racism, sexism, homophobia, etc. And when bad thing after bad thing keeps happening, it only makes sense that we would struggle at some point to react the way we’d ideally like to. So yes, never forget your power, your voice, your choice. But also be gentle and kind with yourself. You’re only human. You will fall. There are aspects of life that make it hard to do the things you want to do. But please, by all means, keep fighting. An authority on how to have successful relationships, Dr. Ely has written, lectured and presented nationally to audiences of parents, couples, educators, mental health professionals, businesses, physicians and healthcare policymakers on subjects such as: effective parenting, raising emotionally intelligent children, motivation, bullying prevention and education, relationship building, stress management, and developing healthy living habits.